As a story, Ball Lightning is a bit more of a grounded read than The Three-Body Problem. There are no aliens in this story, which follows the life of a young man named Chen who watches as both of his parents are incinerated by a phenomenon known as ball lightning. Their deaths frames the direction of the rest of his life. Haunted by the memory of his dead parents, he obsesses over the strange incident, going to university to learn everything he can about ball lightning. He lives out an isolated existence, putting everything aside in pursuit of his obsession, and eventually meets Lin Yun, an Army officer who works in an experimental weapons division, who also has a fascination with the phenomenon: she wants to learn everything about the incredible energy not in the pursuit of knowledge, but to utilize it as a weapon. With their mutual interests, the pair fall into familiar company: Liu takes them to the remains of a Soviet weapons factory, where they meet a disillusioned weapons scientist who lost everything in his pursuit of knowledge. Chen has a realization that perhaps he’s thrown his life away in a fruitless pursuit, but after a revelation, throws himself back into study. He and his fellow scientists realize that they have stumbled upon a new, fundamental nature of reality: ball lightning doesn’t appear randomly, but is composed of macro-elements: massive, unseen electrons that appears when the conditions line up perfectly. As in The Three-Body Problem, Liu’s journey is laid out in a mostly chronological, straight-forward way. Readers discover revelations alongside the characters, with plenty of detours for scientific explanation, or backtracking to cover the specific history for a character. Ball Lightning does’t quite reach the lofty heights that The Three-Body Problem. Joel Martinsen’s translation is flatter and more passive, and the main character never quite comes to terms with the death of his parents in a way that leaves the story feeling slightly incomplete. Ball Lightning showcases the inherent dangers in developing advanced weapons with experimental science and technology. Instead, Liu focuses less on exploring his characters’ personal issues and more on their obsession with ball lightning. Chen and Lin are brought together by nearly identical circumstances: Chen is drawn into his studies to try and uncover why his parents died in such a horrific manner, while the death of Lin’s mother leads her down the path to weapons research, as she tries to develop a breakthrough technology that could save other lives down the road. In both, we see the destructive qualities that their obsessions generate. Lin is reckless, selling prototype weapons to other countries and disregarding the safety of the people under her command. Chen’s fixation is a little less dangerous, but it leaves him an isolated, with little support to help him cope with his work and trauma. More broadly, Ball Lightning showcases the inherent dangers in developing advanced weapons with experimental science and technology. The ball lightning weapons that Lin and Chen are responsible for creating could aid China against its adversaries (presumably the United States, but frustratingly, Liu never fleshes out the specific geopolitics of the looming war). But they could — and do — come at a high cost to the country. There are parallels to the pursuit of the atomic bomb during the Second World War: the weapons helped bring an end to the conflict, but introduced new and terrifying dangers to the world with their invention. 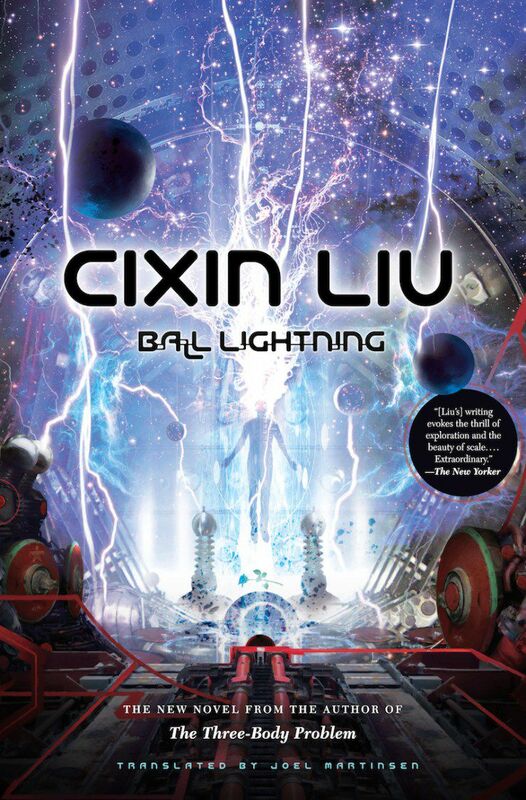 Ultimately, Ball Lighting has all of the elements that brought Liu bursting onto the world stage with his Three-Body novels: a story of fantastical science and technology, and the dangers they pose in the wrong hands.